Eugene, OR - Where is the Westside Warehouse District? Come find out on Saturday April 20 from 4-9 pm as Westside Warehouse District members offer a tap and tasting room adventure/scavenger hunt. The 4th Annual Westside Warehouse District Scavenger Hunt includes clue cards that direct guests to all five member locations; Claim 52 Brewing, Crescendo Spirits, J. Scott Cellars, Noble Estate Urban Tasting Room and Viking Braggot Company Brewery & Tap Room. Begin your scavenger hunt by picking up a clue card from any participating member and then complete the clue card and head to the next location. Turn in completed clue cards at the final destination for the chance to win fun prizes. Complimentary transportation, available between the five destinations throughout the event, will be provided by Tour Transporter. Joining the tasting/tap rooms will be local food trucks and musicians! 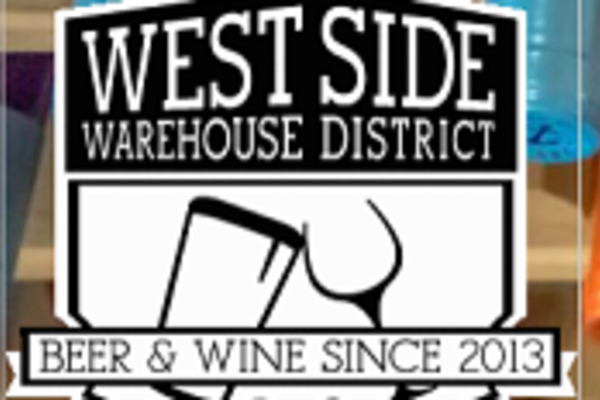 The Westside Warehouse District was formed in 2014 when local breweries Claim 52 Brewing and Viking Braggot Company partnered with award winning wineries J Scott Cellars and Noble Estate Vineyard and Winery. The group launched the newest wine and beer district in Eugene in March 2014 with the Westside Wine and Beer Loop. The newest member, Crescendo Spirits, joined in 2015. Noble Estate Urban, 560 Commercial St., Eugene. The mission of Noble Estate is to provide our customers with high quality handcrafted wine from grape to bottle. The Noble Estate wine catalog consists of 15 current releases including Award Winning Muscat, Pinot Noir, and Malbec. The Noble Estate Urban Tasting Room is open every Friday and Saturday night from 5-10 p.m. For more information about Noble Estate call 541-338-3007 or email wines@nobleestatewinery.com. J. Scott Cellars,520 Commercial St., Unit G, Eugene. J. Scott Cellars is an urban winery producing extraordinary and out of the ordinary wines of the Pacific Northwest. Known for their extensive wine menu, currently over 20 varietals, J. Scott Cellars Tasting Room is open every Friday from 4-9 p.m. and every Saturday from 1-7 p.m. For more information about J. Scott Cellars call 541-357-5279 or email vicki@jscottcellars.com. Claim 52 Taproom 1030 Tyinn St., Eugene. Founded in 2012, at Claim 52 Brewing we put a unique and inspired touch on every one of our small-batch brews. We pride ourselves on creating innovative beers that capture today’s evolving tastes that go beyond the hop-centric Northwest IPA. Our hazy, tropical-inspired brews and fruit-infused beers have won acclaim not just for their creativity, but for their taste, freshness and quality. Visit the Taproom on Tyinn Street or The Kitchen on Willamette Street. The Claim 52 Taproom is open Wednesday through Saturday, 3-8 p.m. and The Kitchen is open seven days a week. For more information, call 458-205-8188 or email info@claim52brewing.com. Viking Braggot Company Brewery & Tap Room 520 Commercial St. Eugene. Viking Braggot Company is the only brewery to offer a full line of braggots! Braggot is one of the oldest fermented drinks, pioneered by the Vikings, it utilizes elements of beer and fermented honey (or mead). We are updating this ancient tradition by creating a modern beverage that combines local honey and craft beer ingredients. Come experience our braggots at our brewery taproom or Southtowne Pub location on Willamette! Viking Braggot Company Brewery & Tap Room is open Thursday 4-9 p.m., Friday and Saturday 4-10 p.m. and Sunday 12-5 p.m. For more information about Viking Braggot Company call 541-653-8371 or email info@drinkviking.com.